Seoul has several international districts. The growth in the number of international residents is expected to increase further with plans for foreign investment zones around the city. The following is a short list of some of the prominent foreign communities in Seoul. Itaewon was and continues to be the largest expatriate community in the country. Located near Yongsan Garrison, it has been designated as a special tourist zone. Itaewon is famous for shopping with its diverse range of shops catering to the needs of the foreign community. The neighborhood also boasts a large number of bars, clubs and restaurants. The multi-cultural community in Itaewon is well represented by the authentic ethnic restaurants of the area. Some of the American, French, Pakistani, Indian, Egyptian and Middle Eastern eateries are simply unmatched. Itaewon is the residential area of choice for a large number of foreigners working in Korea. Hannam-dong has a significant number of foreign diplomatic missions. 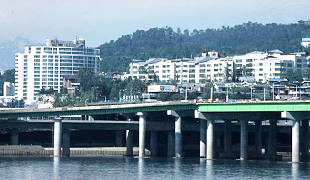 As many foreign nationals live in Hannam-dong as in Itaewon. The district contains two areas: the UN Village and an ordinary residential district. You will notice a number of fancy villas or big Western-style houses in this exclusive area. Hannam-dong is primarily a residential area, as many of the associated cultural and business facilities are located in nearby Itaewon. 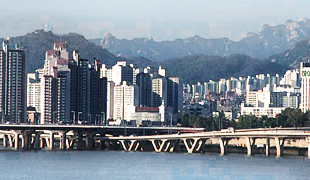 Ichon-dong is widely recognized as a predominantly Japanese residential district. Ichon-dong was once home to embassy staffers and employees of trading companies in the city. It’s common to see authentic Japanese restaurants in the area. It’s also quite common to see Japanese business signs in this area. With Yongsan Park in close proximity, Ichon-dong is a unique and pleasant residential area. 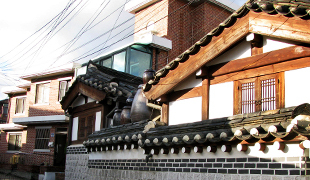 Seodaemun-gu is a popular residential district among foreigners. Numerous universities are located in this district, and hence many foreign students and professors reside in the area. Ewha Womans University, Hongik University and Yonsei University are located in this district. Numerous officetels and one room studios in the district are quite popular with students and singles. The district is surrounded by mountains which allows for regular and convenient weekend hiking forays for local residents. These areas are among the representative shopping and business districts of Seoul. 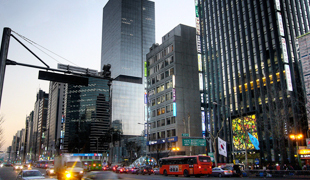 Gangnam has various cultural and business facilities such as the Korea International Trade Association (KITA), COEX, and the Seoul Arts Center. There are trendsetting fashion streets and diverse shopping streets in Gangnam. Gangnam-gu is popular among Koreans because of the convenient transportation to various areas around the city and the elite schools and academies in the area. On the downside, the popularity of this district has led to an increase in housing costs and hectic traffic. Seorae Village in Banpo-dong, Seocho-gu is a village for French nationals. Expensive villas and luxury houses line Pyeongchang-dong and Seongbuk-dong. Located on the hills and surrounded by mountains with a scenic view of the city, the area offers a quiet residential atmosphere. Art centers and galleries abound.